Tony and I decided to go to Goofy’s Kitchen for dinner tonight and we are wearing our Celebrating buttons. Minnie then spent about the minutes hugging me and rubbing my shoulder as I began to cry, after she signaled for a picture and I explained that our phone had died as we got there, she nodded, hugged me again and then left. 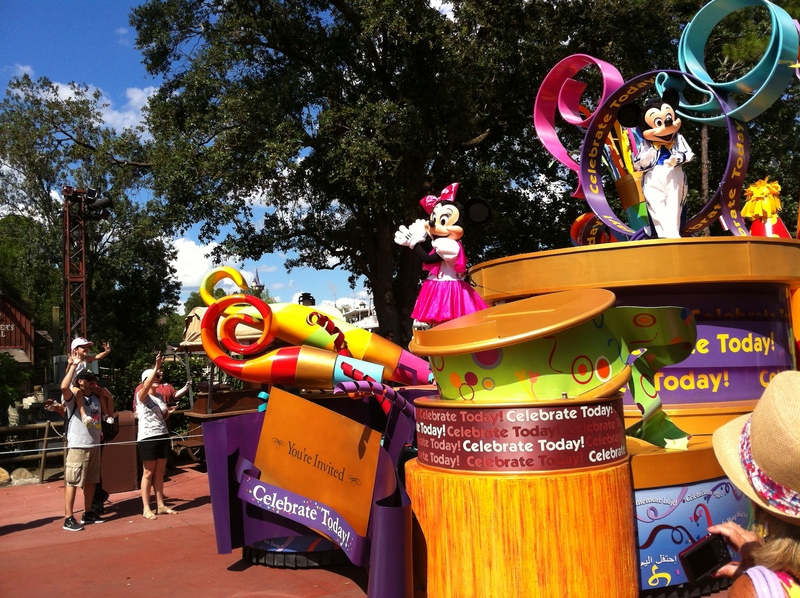 After a few more characters came by (pluto, Jasmine) Minnie returned with her handler. Her handler said “Minnie explained you are having trouble with pictures, so we are going to take you to the photopass area and take a picture.” I started crying again from the sweet gesture. We went, got our picture, the lady asked if we had taken one with Goofy as well (I replied yes) and went back to our table. We met Chip and after he left Minnie returned once more with a photo package of the pictures we took with her and goofy (which she also signed) and gave it to us, no charge. I lost it at the point, I was crying from the generosity of the cast (and Minnie) and the realization that it was my last weekend with my husband. Minnie hugged me for ages and left. I also made sure to speak to the manager about her amazing cast! Random me: Do you have a magical Disney story? Comment below. What a brilliant story. Thank you so much for sharing it Donna. Makes a CM proud to know this is happening without any check list or script. It’s just the way things are done. PS. Sorry for delayed response. Was without Internet for a few days.